This combination of a tan cotton blazer and charcoal wool chinos is super easy to make up in no time, helping you look dapper and ready for anything without spending too much time combing through your closet. Look at how well this outfit is round off with Hogan contrast ankle boots. 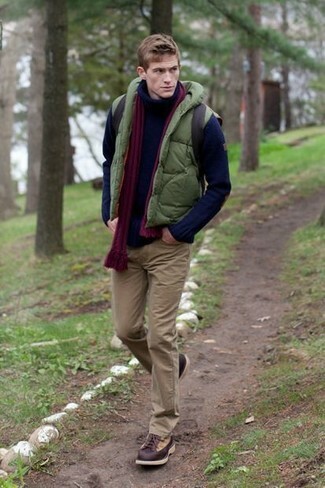 Consider pairing a green embroidered cardigan with khaki chinos for relaxed dressing with a fashionable spin. 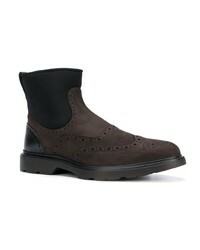 For a truly modern hi/low mix, introduce a pair of Hogan Contrast Ankle Boots from farfetch.com to the mix. 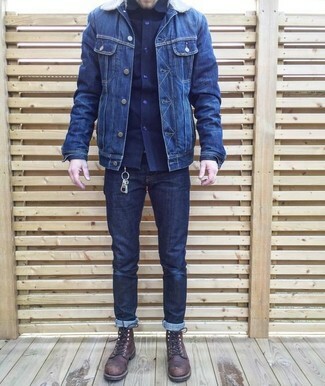 If you're on the lookout for a casual yet seriously stylish ensemble, go for a navy denim jacket and navy jeans. Both garments are totally comfortable and will look great together. 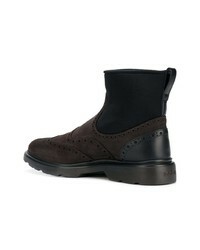 Up the cool of your getup by wearing Hogan contrast ankle boots from farfetch.com. 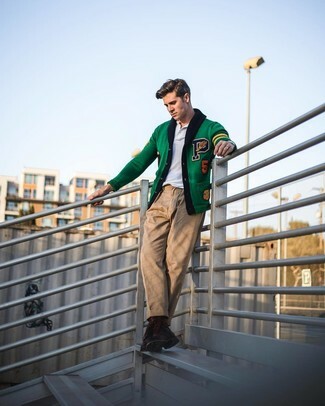 If you prefer a more casual approach to fashion, why not consider pairing an olive bomber jacket with navy jeans? Wearing a pair of dark brown leather casual boots is a simple way to add extra flair to your outfit. 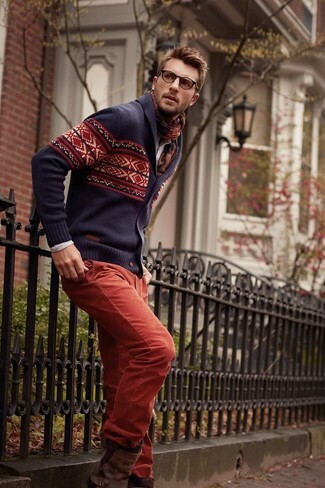 If you're after a casual yet dapper outfit, opt for a violet fair isle shawl cardigan and red corduroy jeans. Both garments are totally comfortable and will look great together. To add elegance to your look, complete with Hogan contrast ankle boots. 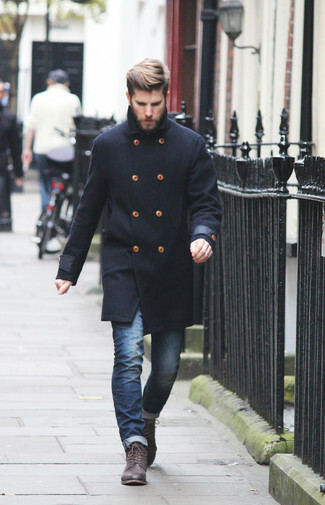 For a smart casual getup, consider wearing a black overcoat and blue jeans — these items go really smart together. When it comes to shoes, this getup is round off wonderfully with Hogan contrast ankle boots. As you can see here, being a dapper dude doesn't take that much time. 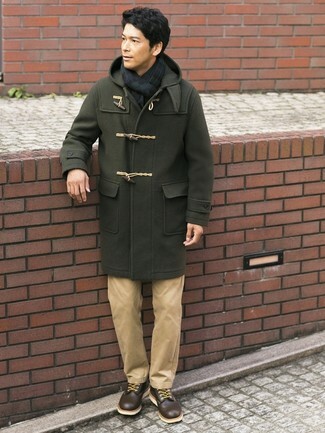 Just try pairing an olive duffle coat with khaki chinos and you'll look savvy. Round off this outfit with dark brown leather casual boots. 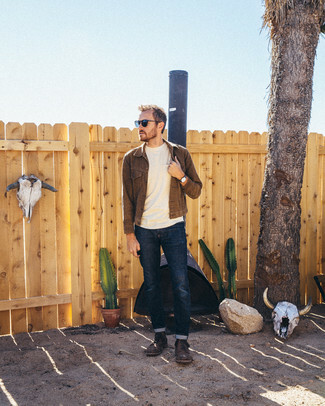 If you're on the hunt for a casual yet sharp ensemble, dress in a dark brown denim jacket and navy jeans. Both pieces are totally comfortable and will look great together. 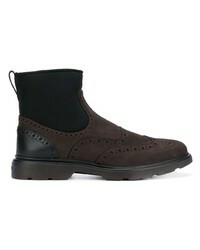 To add more class to your look, round off with dark brown leather casual boots. An olive quilted gilet and brown chinos are absolute essentials if you're picking out an off-duty wardrobe that holds to the highest style standards. 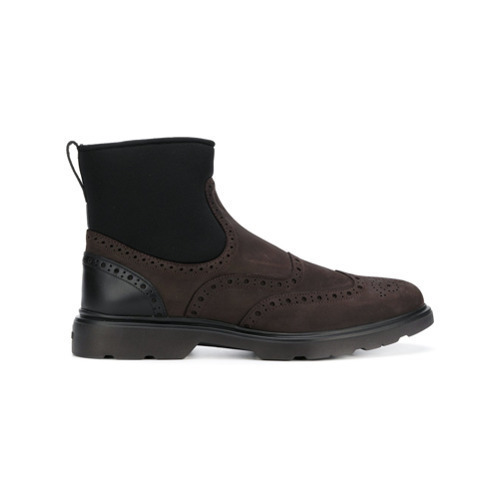 Grab a pair of Hogan contrast ankle boots for a masculine aesthetic.